Anything ‘Doctor Who’, count me in. Ever since BBC decided to revamp the series, it has created a mass fan base and has become, for the second time, a huge cult classic. I was very excited to watch the first seven episodes of Season Six of ‘Doctor Who’. Such an imaginative, creative, and fun as all hell television series. Having ‘Doctor Who’ on blu-ray in Hi-Def is like having chocolate cake covered in Lucky Charms every day for two years. It’s that amazing. Highest possible recommendation on this release from Warner. “Matt Smith and Karen Gillan make their triumphant return as the Doctor and his companion in an all-new series of Doctor Who! In Part 1, the Doctor, Amy and Rory find themselves in Sixties America, battling the invasion the world forgot, then journey on the high seas of 1696 aboard a pirate ship, to solve the mystery of the Siren. In a bubble universe at the very edge of reality, the Doctor meets an old friend with a new face, and in a monastery on a remote island in the near future, an industrial accident takes on a terrible human shape. 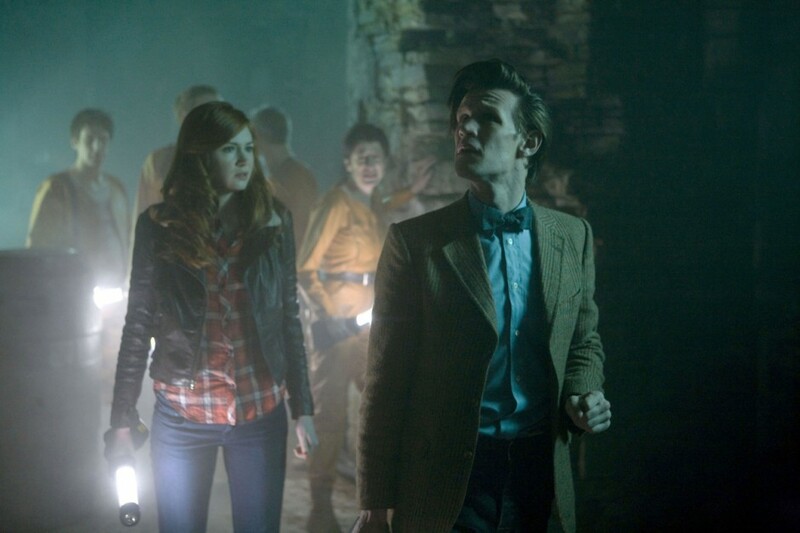 And waiting for them, at the end of all this, is the battle of Demon’s Run, and the Doctor’s darkest hour. Can even the truth about River Song save the Time Lord’s soul? Only two things are certain. Silence will fall. And a good man is going to die…” I love where writer Stephen Moffat has taken the series. Love to see these two married, on Earth, and in the 60’s for a bit. Not only is the 60’s era cool to see, but I love the whole 17th century pirate ship story line where the Doctor tries to save everyone from the Siren. Very cool. Love all these adventures, and time traveling in this particular series. And a fairly intense and fun cliffhanger in the last seventh episode. So glad the second half of Series 6 has started back up already. Definitely a great addition to the series. The series is presented in 16×9 Full Frame 1080p HD. It’s not the best thing I have ever seen in HD, but it still looks great. A definite step up from the live digital cable feed. The colors pop vibrantly and there the blacks and shadows are smooth and dark. So glad to have this on blu-ray. The audio is mixes in an impressive DTS-HD 5.1 sound. The dialogue is crystal clear and the speakers get a workout. The rear speakers boast the ambient sound and it all is excellent sounding. – Monster Files: The Silence and the Gangers – A behind the scenes mini featurette on the creation of these two types of monsters. You see how they were made, what they do, and where they are from. I loved watching this series. This was a great start to the sixth season of the revamped ‘Doctor Who’. On previous releases, the blu-rays and DVD’s are riddled with tons of extras, but with this release they skipped out on all the commentaries, and behind the scenes. Yes it is one of the less expensive ‘Doctor Who’ releases, but if you want to watch them now, here is your chance. I suppose after the second half of the sixthe season is released, there will be more extras for the season. The video looks good for what it is, but isn’t demo worthy. The audio out trumps the video by a mile. Sounds amazing. I definitely recommend picking this if you can’t wait for a future release. Tons of good stuff here. 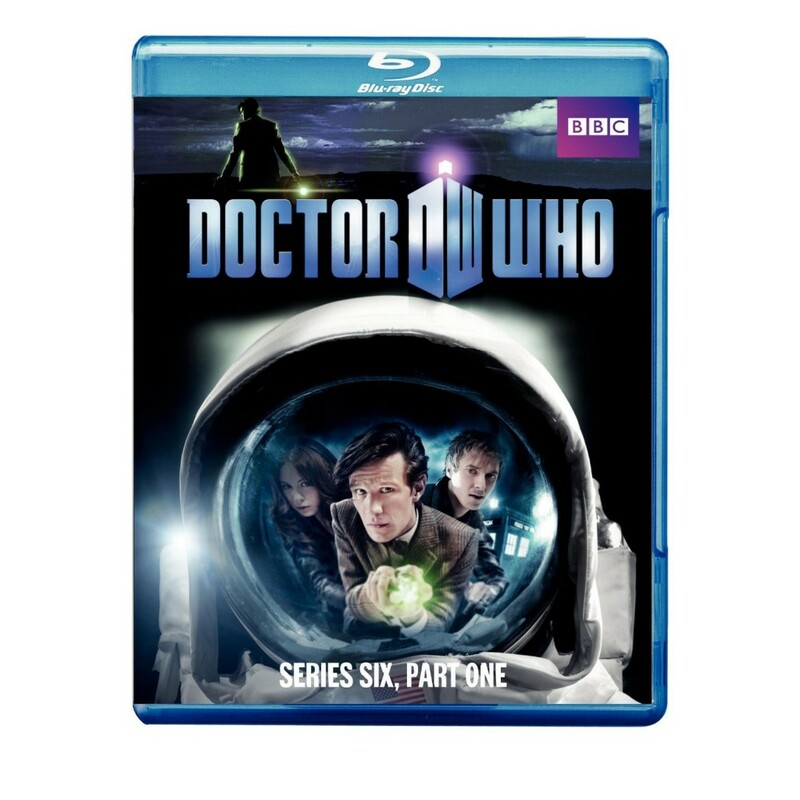 Purchase ‘Doctor Who’ Series 6 Part 1 directly from Warner HERE!!! Or purchase it from Amazon below!! This entry was posted on Monday, August 22nd, 2011 at 9:23 pm	and is filed under Film, News. You can follow any responses to this entry through the RSS 2.0 feed. You can skip to the end and leave a response. Pinging is currently not allowed.